I have a confession to make: I didn’t do so well at no-spend June. As I work in the city centre, I have to pass by my local Superdrug whenever I have a shift. I think I’ve been in three times in the past week or so for various bits and bobs. The main reason I go is because of the loyalty card scheme. I love collecting points for ages and then buying something I probably wouldn’t normally spend that much money on and then splurge away with free points! I also love the student discount; 10% doesn’t seem like much but when you’re spending £20 at a time, you’re saving £2! All those £2s saved can be put together to spend later on! 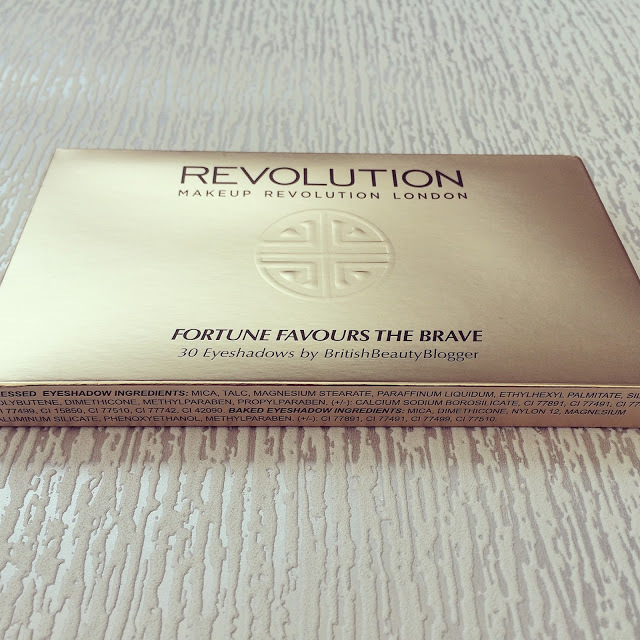 The Superdrug nearest to my work has been selling Make-Up Revolution for a while but it rarely seemed to get restocked until recently. After joining in with the #BBeautyChat‘s recently, everyone seemed to be recommending this brand so I thought I’d give it a try amongst some other goodies! I have a trip to Wales planned in July and wanted to find some smaller bottles of shampoo/conditioner that both my mum and I could use. As I have natural hair and my mum’s is coloured, it can be difficult for us to use the same type. As we both still have dark hair, it can be prone to getting ridiculously hot when sunny and this set looked like the perfect way to solve this. I normally buy my haircare from Wilko as it tends to be cheaper but this is a brand new set and was on buy one get one free! 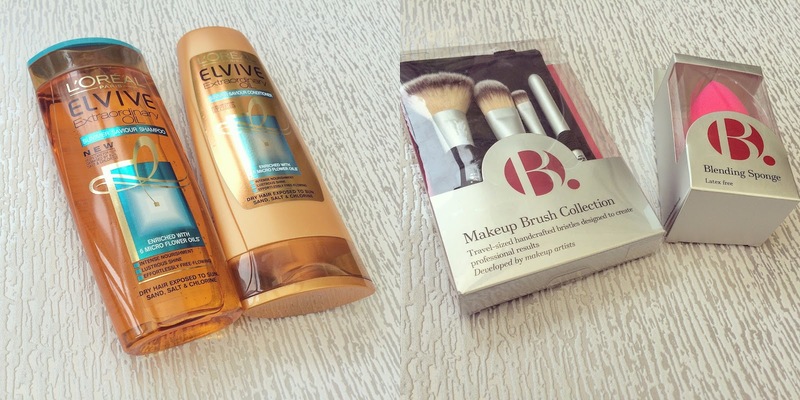 I’ve been after some new make-up brushes for a while and couldn’t resist 1/3 off B. brushes. I thought these would be perfect for travelling as they come in their own carry case and are smaller than regular brushes. I also bought a sponge as I’ve seen all the hype about the Beauty Blender and wanted to try a cheaper alternative first before forking out for the real thing. I am all aboard the palette train. 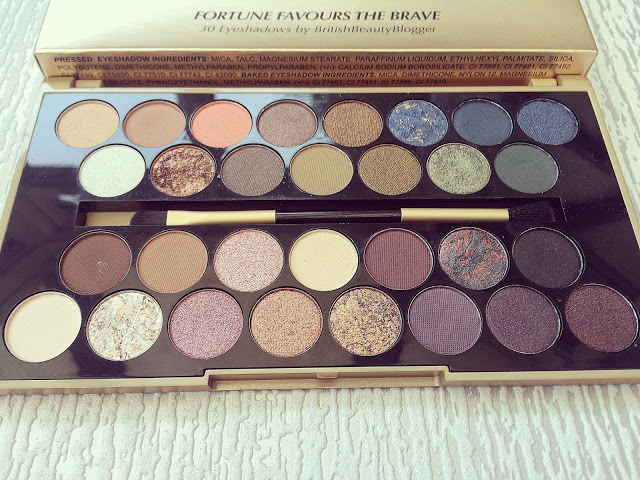 I first bought the Flawless palette a couple of months ago and loved it and needed more. I bought the Girls on Film palette first and then went back for Welcome to the Pleasuredome. I think for £4, you really can’t go wrong with these. For people just getting into make-up, don’t bother buying seperate pots of eyeshadow, buy one of these palettes. There’s quite a few available for £4 and you can pick which colours you think you’d use more then! This is the corrector palette I’ve been lusting after for quite a while. I’ve just bought a MUA pot similar but it’s powder rather than cream. I’ve not tried it yet but I’m excited to try it! I’ve never done a swatch before so was excited to try. I’ve taken a lot to lipstick in the past few months for some reason; however not all colours suit me. I tend to gravitate towards reds and pinks and go for a smoky eye instead of a crazy lip. However, I’d seen these two shades online first and thought I’d give them a try. I wanted to try the balm as these are great for daytime and for work as they give a subtle hint of colour. I find most lipsticks are a bit too bold for work and usually opt for a balm. As you can see from the swatches, the third shade, Sweetheart, is pretty non-existent; I’m not sure how often I’ll be using this colour now! 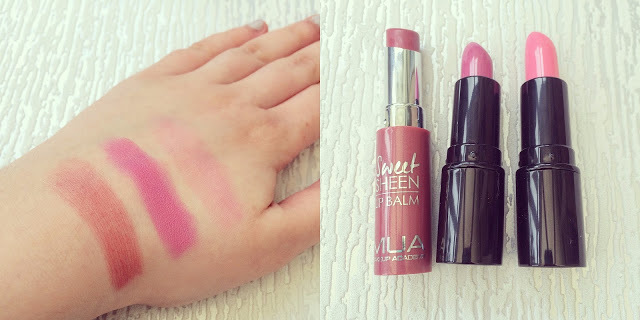 I love the vibrant pink of Enchant in the middle and the hint of red in Dusky Rose so I think I’ll be wearing these two shades a lot during the summer. I want to be more experimental with my eye make-up this summer so wanted to invest in some coloured eyeliner. 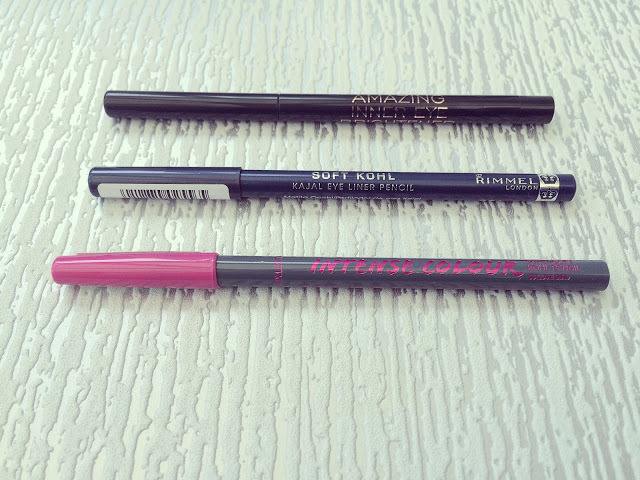 I’ve never been a fan of liquid liner so opted for pencils instead. I don’t see me trying any neon colours anytime soon so opted for darker tones as I don’t really do colour at all really. I thought blue and grey would be a good way to dip my toes onto the colour wheel. I’ve always been a huuuuuge fan of Rimmel’s kohl pencil (I’ve used the black one since like, forever) so I knew I had to buy the blue one. I also thought I’d try Collection’s range to see if they’re any good. The inner eye brightener was a random buy and in all honesty, I don’t really see much of an effect so far! Now for the palette of all palettes. I saw Becca’s review of this and was lucky to find it in my local store the following day. I love the assortment of colours; the nudes and browns to the navys and purples. 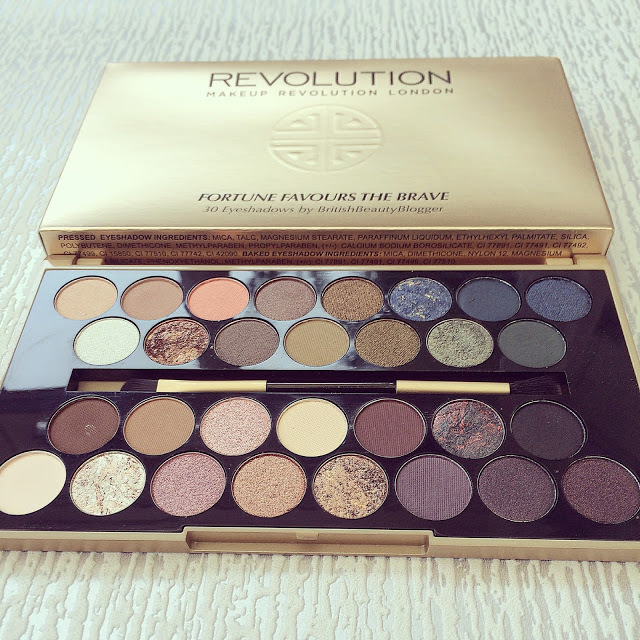 This is the perfect palette for me to experiment with and for under £10.00, I think it’s worth it for sure. I mostly love the mixture of matte and shimmer shades and there’s 30 shades to choose from so you will be spoilt for choice! 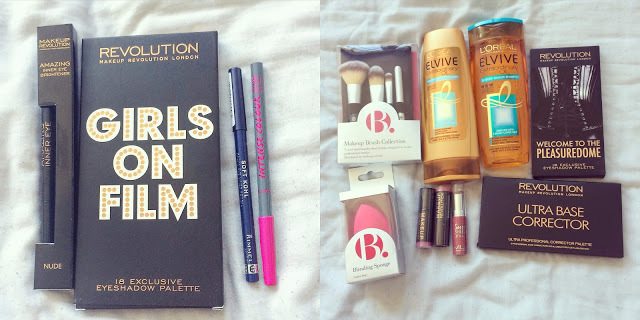 Have you done a haul recently? Leave me a comment below as I am super nosey!